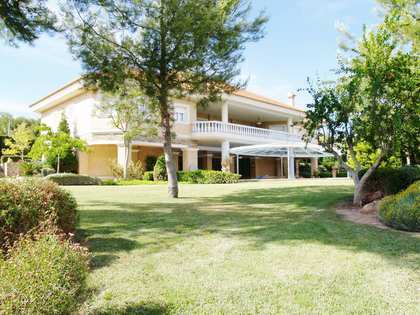 For rent, House / Villa €5,500 pcm. Monte Picayo is an exclusive gated residential community in Valencia, boasting magnificent views of the Mediterranean Sea from its hillside position, just 15 minutes from Valencia city centre. 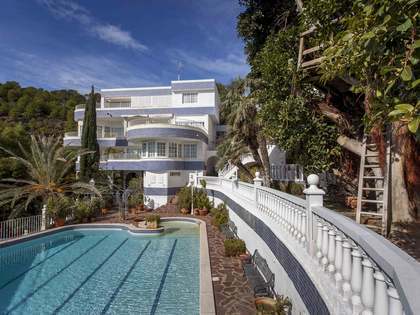 Lucas Fox boast an extensive portfolio of properties for sale and rent in Monte Picayo. 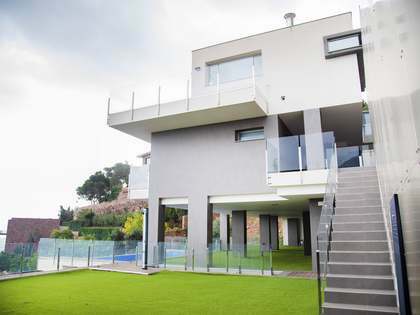 Monte Picayo is considered one of the best residential areas in Valencia, for its privileged location in the hills and with the best possible views of the Mediterranean Sea. Peace and tranquillity reigns in this neighbourhood and it enjoys a private security service for the complete peace of mind of its residents. An idyllic communal pool can be found in the upper area of Monte Picayo and is open from June to September. 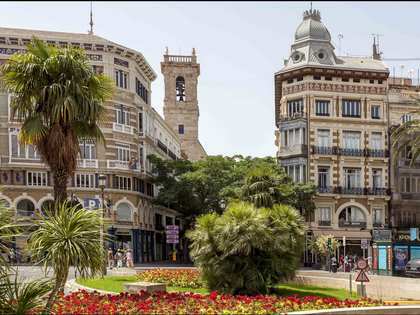 Its proximity to the best bilingual schools in Valencia, the city centre, which is just 15 minutes away, and the excellent beach of Puzol, which can be reached in just 10 minutes, make it a very popular place to acquire a property. Caxton College and the American School, as well as Alfinach College are all within easy reach and the town of Puzol is just 3 kilometres away, offering all kinds of services. 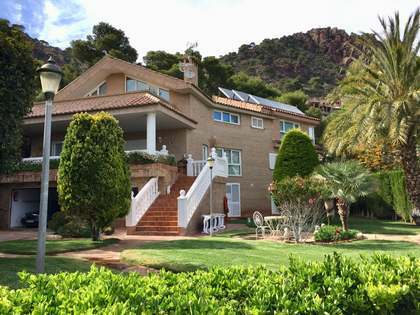 Located in the municipality of Sagunto, bordering Puzol, Monte Picayo is a perfect neighbourhood for those who want to work in the city and return to a peaceful, calm, secure home at the end of the day. Most clients seeking a property in Monte Picayo are looking for a permanent residence here. 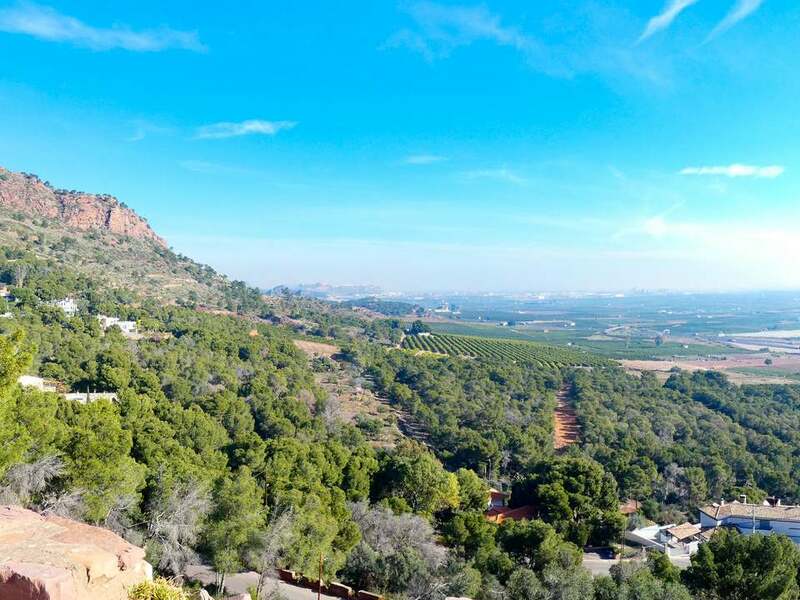 We find local clients who work in Valencia and covet the tranquillity of the hills, but also international clients who seek good views and a peaceful, upmarket location to call home. With a strategic location and wonderful sea views, Monte Picayo is home to a limited number of fortunate residents, making this an exclusive neighbourhood and a highly desirable place to rent or buy a property. Most of the properties in Monte Picayo are on large plots, although there are also some low-rise ​​apartments available in the area, catering to a range of budgets and lifestyle needs. The neighbourhood features a variety of architectural styles, including typical Mediterranean houses as well as contemporary design properties, with some of the most cutting-edge villas in Valencia. Many of these villas enjoy beautifully landscaped private gardens with infinity swimming pools and elegant modern interiors with home automation systems and a variety of luxury features. Whether buying a permanent residence or investing in a property to let, the strategic location and standard of living on offer here means that properties are always in high demand both for rent and sale. Our highly professional multilingual team are experts in the local property market and are experienced in matching the ideal property to the individual client’s lifestyle. We accompany clients through the purchase or rental process from beginning to end, always striving for complete client satisfaction. Find your new home in our selection of prime real estate on our web site with a wide range of penthouses, building plots and stunning free-standing villas with gardens and private pools in Monte Picayo, or contact us for advice and assistance in selecting your ideal home in this affluent area just 15 minutes from the city centre and with an excellent quality of life guaranteed for you and your family.